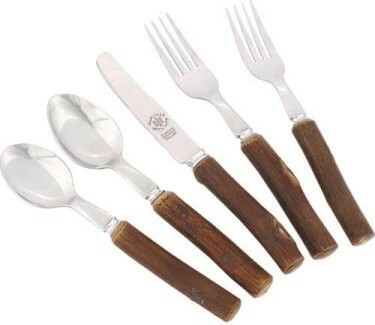 The Polished Hickory Flatware-Stamped is a 5 piece place setting that includes 1 each: dinner fork, salad fork, soup spoon, serving spoon and butter knife. Stamped 18/10 stainless with polished ends. 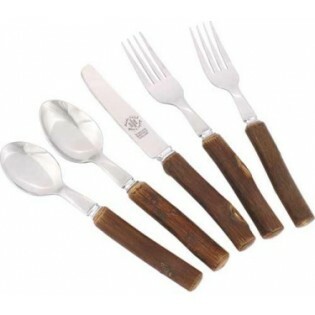 The Polished Hickory Flatware-Stamped is a 5 piece place setting that includes 1 each: dinner fork, salad fork, soup spoon, serving spoon and butter knife. Stamped 18/10 stainless with polished ends. Hand washing is recommended.